Sales growth, increasing customer numbers, market demand… Most likely, these are the best phrases for a wholesaler. But imagine this, in those 24 hours per day you need to fit all your work hours and a personal life. As soon as you felt that your market expanded, you don’t own more hours to deal with it. Opposite, you have to complete more tasks at the same time. That is where we would like to show you how to deal with Multi-channel inventory management on Amazon and eBay. The main problem with having more than one account is that you are unable to properly control all of them by yourself. There are a few options how to run your business: either you need a team, or use a management software help. Multiorders has integrations with both these marketplaces Amazon and eBay. 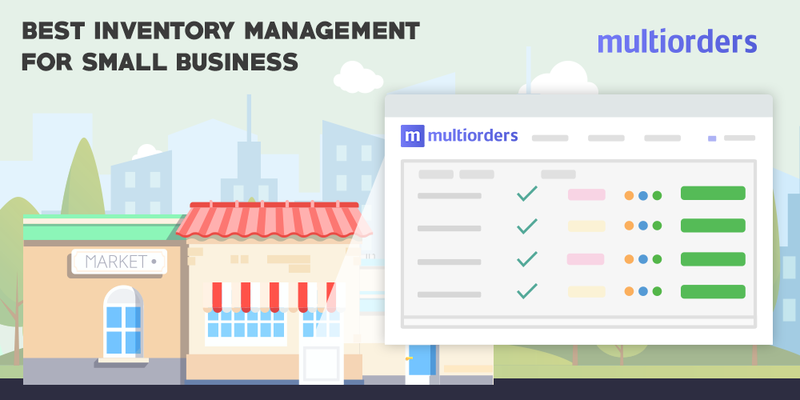 Multiorders helps you to deal with multi-channel inventory management on Amazon and eBay, and escalate your business in a most efficient way. From our platform, you are able to fully control your sales: inventory updates, stock-list, pricing, whole order fulfillment. Imagine this, check and control ALL your orders using only one website. Multiorders helps you avoid switching from one account to another. In addition to this, there is no need to do same time-draining changes on your inventory. Basically, you don’t have to hire an enormous team to properly run your business. Multiorders software allows you to manage all your marketplaces at once. 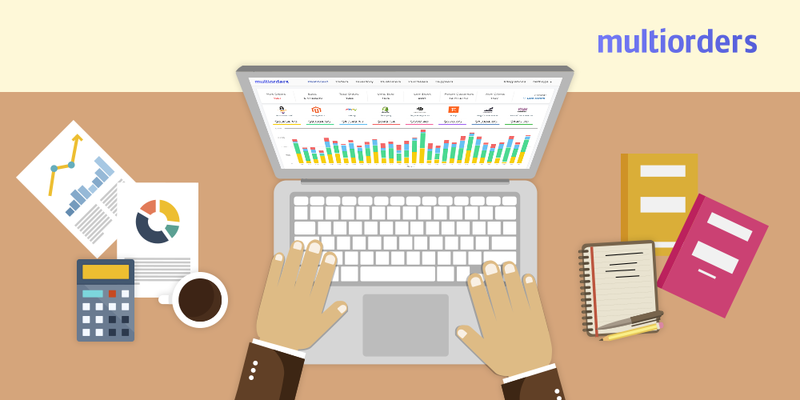 Moreover, it helps you to track your profit. Having all inventory and orders on one platform helps you to clearly see and measure your success. Furthermore, there is no need to use additional books or sheets. All information about the order, as well as customers details, is in one place. Usually, another wholesaler’s task is to control a shipment or choose a company which will take care of that. Either way, it takes some time for research and decision-making process. 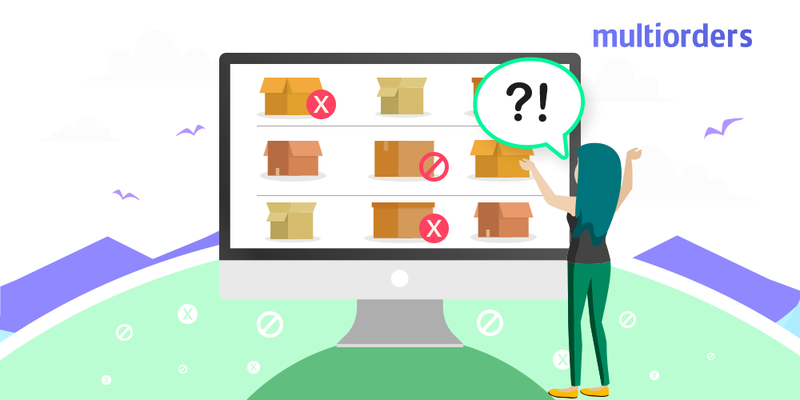 There is a solution to avoid all these necessary tasks and complete shipping by clicking only a few buttons. Multiorders is offering you mostly all shipping companies, which are ready to fulfil your orders. 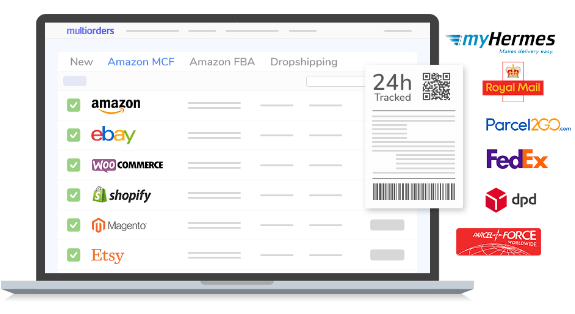 Moreover, for your convenience, we have integration with Amazon FBA. 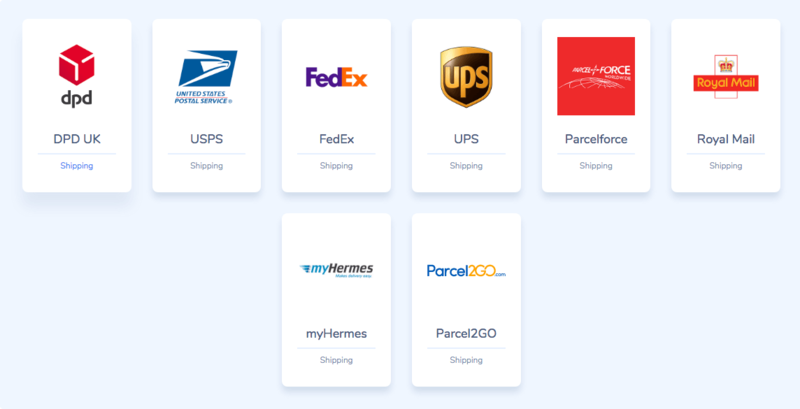 Shipping companies All of these integrations are legally confirmed, and you do not have to create any additional contracts. Furthermore, all you need to is choose your favourite one. Another key point is – tracking, Multiorders controls all updates about your shipment. In other words, as soon as shipping company provides any information, Multiorders automatically applies it to your marketplace. That way your customer is instantly provided with tracking number, and might trail product immediately. When you succeeded in one job, why should start limiting yourself? Contrary, lift your sales at the highest level, and work through multi channels. You can increase your market two or three times! To make your business easier they created – a fulfilment by Amazon. This tool completes all steps after you receive an order. In other words, they pick, pack and ship your item. Moreover, this service takes all responsibility for your stock. Strictly speaking, you do not have to own or land a warehouse to keep all your goods. In addition to this, Amazon informs you about current inventory list. Additionally, Amazon FBA handles all communication with your clients. You don’t need to talk or worry about them. Amazon fully takes customer service: informs clients about tracking and answers their questions. What is more, their returns and refunds policies should equally satisfy your and your client's needs. More information Amazon FBA takes full responsibility for actions which might appear during shipment. In that case, they guarantee a refund or replacement to your client. All in all, this function saves wholesaler from additional work with shipping companies or customer service. Moreover, as well as their policies protect you, they ensure your customer. E-commerce is a big market world, which allows you to increase your business as much as you want. For example, on eBay, you might have more than one selling account. Each of them might have different clients or inventory. Moreover, they could have different success, depending on the marketing strategy you are using. Nevertheless, there is a possibility to have few accounts on Amazon too. Imagine this, you have the same inventory in two different marketplaces, which means you same updates with prices, stock-list and etc. Multiorders offers you a software which covers your multi-channel inventory management on Amazon and eBay.